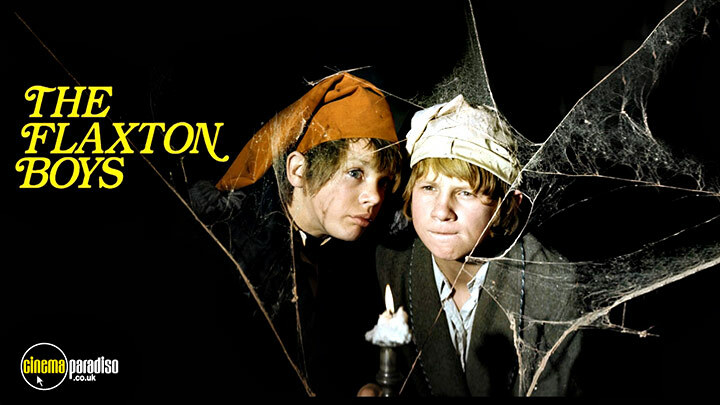 The Flaxton Boys is a British family/adventure/mystery TV series starring Gerry Cowan as the show’s Narrator, Victor Winding playing Benjamin Sweet, Richard Gale as Sir Tarquin Stilgoe, and more. In it, four generations of boys try to lead adventurous lives in and around the area of Flaxton Hall in Yorkshire, with dozens of mishaps happening along the way. Gerry Cowan, John Ash, Philip Baldwin, David Smith, Moultrie Kelsall, Penelope Lee, Hugh Cross, Bryan Cook, Tom Browne, David Bradley, James Hayter, Timothy Carlton, Alan Guy, Bruce Purchase, Lila Kaye, Will Stampe, et al. The complete second series of the classic British drama which tells the story of four generations of the Flaxton family. In this series, the year is 1890 and though the villainous Sir Peregrine is now dead his misdeeds live on in his erstwhile ward Sir Tarquin (Richard Gale) who seeks to acquire Flaxton Hall for himself so that he might exploit the coal deposits beneath. But Jacklin Flaxton (Gerry Cowan) and his best friend Peter (David Bradley) stand ready to thwart him every step of the way. The episodes are: 'The Meeting', 'The Globe', 'The Heir', 'The Letter', 'The Diary', 'The Locket', 'The Valentine', 'The Conspiracy', 'The Messenger', 'The Discovery', 'The Attempt', 'The Homecoming' and 'The Solution'. The Flaxton Boys' story concludes with the fourth series in the epic children's drama charting the adventures of four generations of a family at their imposing manor house in a fictional Yorkshire village. Seventeen years have passed the since the previous series. It is now August 1945, and Jonathan's son Matthew and Terry Nichols are the new Flaxton Boys. As World War Two comes to an end, the soldiers who were billeted at Flaxton Hall are preparing to leave. The evacuees, too, are on the move all, that is, except Terry, a boy who has no home to return to. He and Matthew are not immediately the best of friends, but with Benjamin's return from the Navy, a shared adventure is to bring them together.